Interior designer, stylist, and close friend Zan Farrow has very generously graced my show with her presence this week. In our chat, Zan digs deep into how vital intuition has been when it comes to guiding her personal style and getting centered when negative thoughts rear their heads. Zan also delves into how my own courses and coaching have been supportive to finding a path and honing her craft. If you’re in interesting in learning how to tap into your intuition, make heart-centered choices, or even if you just want to listen to two good friends giddily catch up and talk shop, then set aside an hour of your time—or a good workout session—for this episode. Zan Farrow is a virtual interior designer based out of Dallas, TX. In 2015 she graduated from the University of North Texas with a Bachelors of Fine Arts in Interior Design. After graduation, she entered into the commercial design world. With a full-time design job, she still found herself craving a creative outlet. This is when she started her blog, Life With Zan and used it to showcase her love of design, beauty and lifestyle. 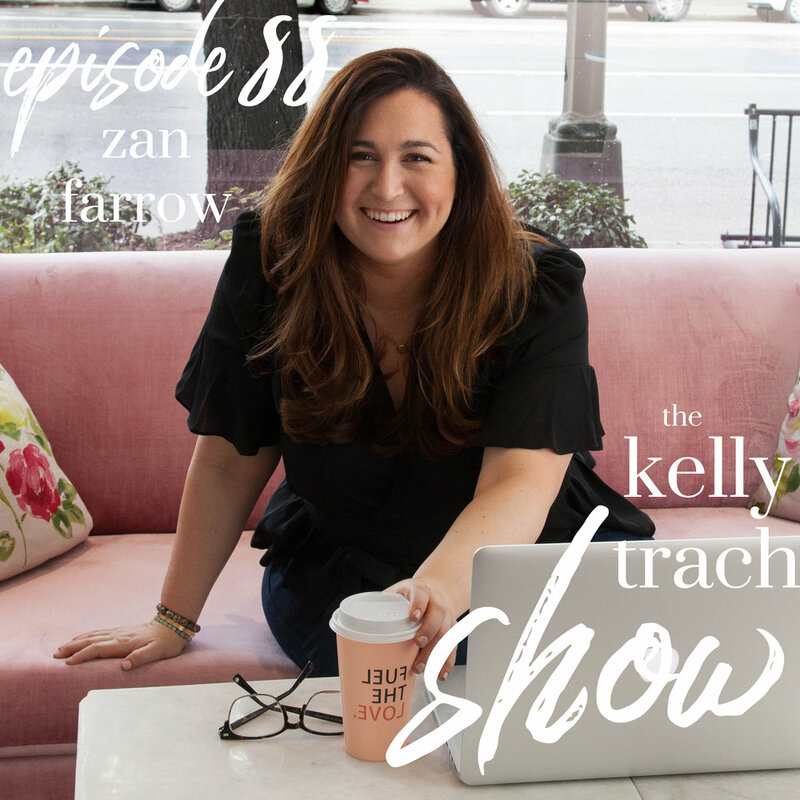 Three years later, her little blog snowballed into her own interior design business, Zan Farrow Design LLC where she now works with a global clientele through virtual interior design and as a stager and stylist. Zan creates intentional spaces that honor your everyday rituals. - How Zan meditates and gets herself in alignment. - What intuition writing is and how it helps us process our feelings. - Zan's surprising yet natural design philosophy and how she finds the inspiration and drive for her work. - How Zan knew it was time to take the leap and start her own business. - The importance of establishing deep trust in yourself so you can pull out of bad thought-chains. - How Zan’s values have influenced how she runs her design business and avoids the trap of hustling and grinding. - The virtual interior design process Zan uses to distinguish herself from the rest of the pack. - Zan's experiences with my courses and why she feels they strike the right balance! - The benefits of one-on-one coaching. - Her advice to those would-be entrepreneurs apprehensive about taking the plunge.